Mobile communication witnesses a new generation after every 10 years. Following the same trend, the roll out of next generation called 5G network is anticipated by 2020. In this chapter, a critical review of enabling technologies and research issues of 5G network is provided. 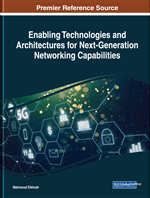 The novelty of the chapter lies in providing a holistic view of 5G networks spanning discussions on technologies and issues across all the layers of protocol stack. Specifically, the chapter talks about the higher-level research issues of 5G network. The chapter is primarily structured as follows: It starts with a brief overview of various generations of mobile communication. Then, the problems with existing generation of mobile communication are presented, thus providing the motivation for a new generation of mobile network. A survey of different enabling technologies of 5G network is provided afterwards. After having brief discussions on key enablers, the chapter presents various research issues of 5G network. The chapter concludes with highlighting current challenges and future research issues. The past few decades have witnessed the continuous emergence of mobile communication standards. Starting from first generation of mobile phones that provide voice services, a new standard has emerged after every ten years. A large number of standards are thus evolved that provide a variety of services such as audio-video, Internet access and fax. Based on the past trends, 5G mobile communication is anticipated as next generation of mobile phones that will provide advanced features beyond those provided by earlier generations. In recent past, a number of researches have appeared talking about the features of this new generation. A survey of 5G architecture and emerging technologies have been presented in (Gupta & Jha, 2015). The author talks about MIMO technology, ultra dense network and full duplexing were highlighted. Issues such as interference management and spectrum sharing were discussed and a mmWave solution was proposed. Another survey on 5G network talks about technologies and issues such as dense network, handoff management, interference, QoS, load balancing, security and caching. An overview of 5G architecture, developments and a brief overview of technologies such as cloud computing and mmWave communication have been provided in (Mitra & Agrawal, 2015). (Andrews, Buzzi, Choi, Hanly, Lozano, & Anthony, 2014) highlighted major design issues of 5G as multiple access technologies, network virtualization and energy efficiency. The authors in (Boccardi, Jr., Lozano, Marzetta, & Popovski, 2014) discussed five disruptive technology directions for 5G network i.e. device-to-device communication, mmWave, massive MIMO, smarter devices and machine-to-machine communication. Various emerging technologies of 5G network has also been discussed in (Bojkovic, Bakmaz, & Bakmaz, 2015). An overview of various 5G research activities have been provided in (Pirinen, 2014). (Demestichas, Georgakopoulos, Karvounas, Tsagkaris, Stavroulaki, & Lu, 2013) provided a survey of 5G technology and highlighted intelligence as a key component for next generation network. (Le, Lau, Jorswieck, Dao, Haghighat, & Kim, 2015) discussed various enabling technologies and research issues of 5G network. An overview of device-to-device communication issues in 5G network is provided in (Tehrani, Uysal, & Yanikomeroglu, 2014). Software-Defined Networking: To enable the control and management of network using software via centralized control. mmWave: Communication in the frequency range of 30 Ghz - 300 GHz. HetNet: A network that comprises cells of different sizes such as small cells and macro cells. MIMO: A communication paradigm in which senders and receivers are equipped with multiple antenna elements that can communicate with multiple nodes. Full Duplexing: The nodes can simultaneously transmit and receive on the same channel. LiFi: A paradigm in which communication is done using visible light such as LEDs. Cloud Computing: A model that enables a set of computing resources to be dynamically provisioned on demand over the internet. Cognitive Radio Network: A network in which nodes are equipped with cognitive radios that can switch communication to unlicensed available spectrum in the vicinity. Nano Technology: Technology that deals with anything in the order of 100 nm such as atoms and molecules.